Located smack in the center of the West Village, Blue Ribbon Bakery serves up high end American and European comfort food in a cozy and quaint space. On a nice summer evening with the windows opened, there's almost nothing better than nabbing a coveted table on the corner of Downing and Bedford. The food is above average, with a particular standout being the Duck Club sandwich - layers of duck and bacon - how could it not be good? Waffle fries top it off perfectly. 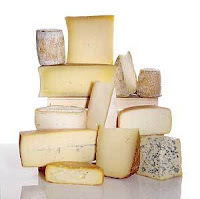 If you like cheeses, this is the place for you with with varieties of goat, sheep and cow cheeses that would delight the most discerning of palates.